Multi-State Concealed Carry Firearms (CCW) Classes, Las Vegas Bass Pro Shops Classes and Seminars, Personal Protection Inside and Outside the Home, Nevada Department of Wildlife (NDOW) Hunter Education Classes as well as a myriad of other Adult/Youth Firearms Safety and Training Classes and Project Childsafe Training Classes are facilitated by Kevin McNair, NRA Certified Instructor, Range Safety Officer and owner of Tactical West, LLC and his experienced team. Please contact us for more information. Why should you take your CCW and Firearms Training Classes from Tactical West? Has attended and completed numerous firearms training courses and continuing education classes throughout his career to further his knowledge and abilities to optimize successful delivery of information to his customers. He continues to attend training courses on a regular basis as well. 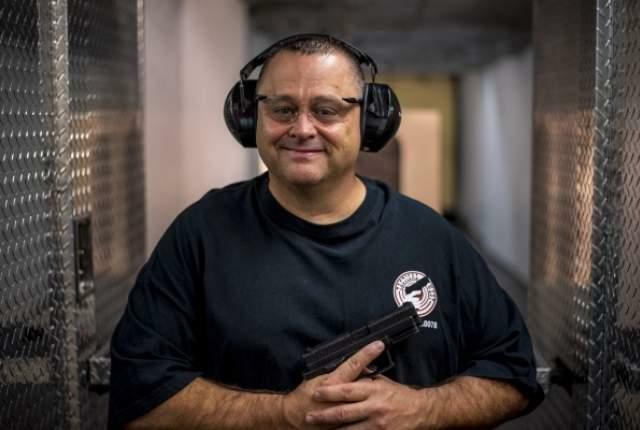 A life member of Front Sight Firearms Training Academy in Pahrump, Nevada. Certified HR218 (Retired Law Enforcement) Weapons Qualification Instructor. Commonly known as the Law Enforcement Safety Act of 2004. Frequent teacher of the National Shooting Sports Foundation’s Project Childsafe Program. In 2015, I was awarded the 2015 Nevada Safe Champion by the National Shooting Sports Foundation. Frequent teacher of the National Shooting Sports Foundations, First Shots Program. Currently the Chapter Chair for the Las Vegas Chapter of the Mule Deer Foundation. Frequently attend continuing education seminars related to shooting, hunting and the outdoors.